After 6 nights of camping Yosemite we were happy to get back to San Francisco for a few more nights with friends. After a night in NOPA and a night in Sausalito we left the city for one more run to our storage unit in BFE aka Antioch. As we drove through the city one last time and across the Bay Bridge, I craned my neck to get one last glimpse of my home with tears in my eyes. I know we’ll be back, but it will never be the same. San Francisco may have new restaurants and bars, the rent may be a little more expensive, my friends may have new significant others, but largely things will remain the same. What will be changed is me. Even during my two months away in South America it felt different when I returned. How different will things be after 6/8 months away? Will I fall out of touch with close friends? Will San Francisco feel like home when we return? Will we find another city to move to? All of these questions kept popping into my head making the day that should have been exciting really really sad. After another long trek to our storage unit, we finally take off for our first stop in Mendocino County. Early last fall Ben and I made our first trip up to the Mendocino Coast. 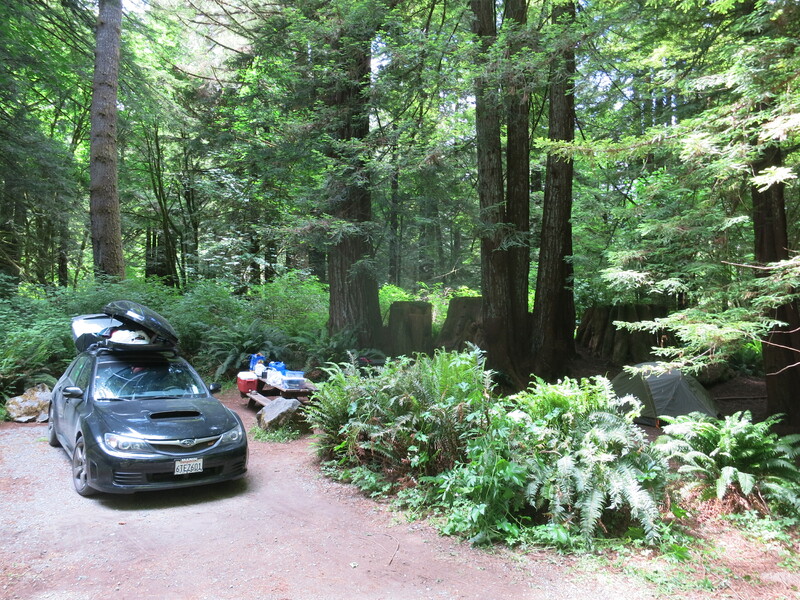 Although we ended up camping in the World’s worst camping spot at Van Damme State Park (site #13) we had a great time. 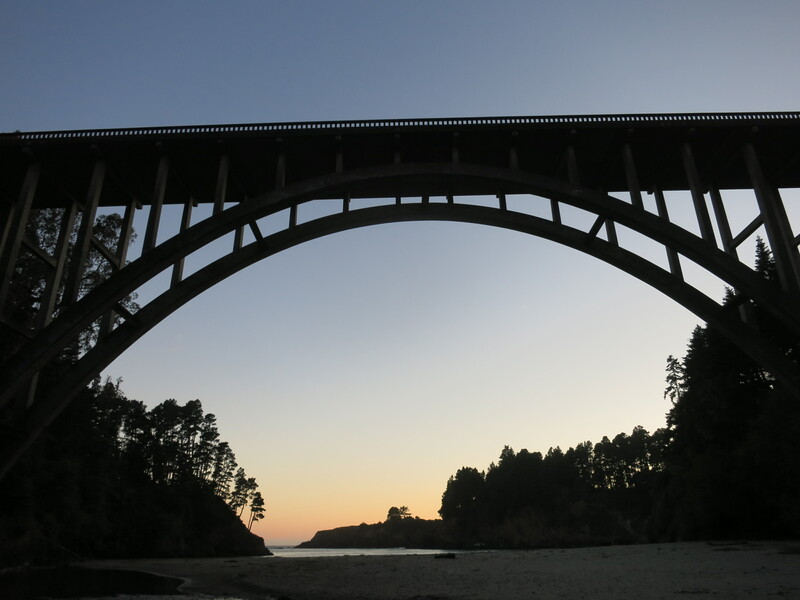 This time I reserved a spot at Russian Gulch State Park, which was touted as one of the best campgrounds in the Mendocino area. Maybe it was because we’d just spent a week in Yosemite or the odd group of people camped at the park, but whatever the reason was this time we just didn’t vibe with Mendocino this time. If anyone from Mendocino is reading this please forgive me, but I just felt as if we were in a town full of circus carnies. We constantly encountered all types of people who fit into this mold– we saw the tattooed man, the fat lady, the freakishly skinny man, etc. A couple of times I had to stop and look at Ben and double check that I wasn’t imagining things. As on our last trip we rented an outrigger canoe from Catch a Canoe and paddled up the Big River. The setting of the Big River was just as awe inspiring as I remembered, the clear green water and tall trees create a setting of complete tranquility. Unfortunately this time it was windy and cold so the experience just wasn’t comparable to the relaxed sunbathing paddle trip we took last September. The highlight of Mendocino was a trip to North Coast Brewing, and although the food wasn’t incredible I just can’t say no to Red Seal Ale or Old Rasputin Stout. 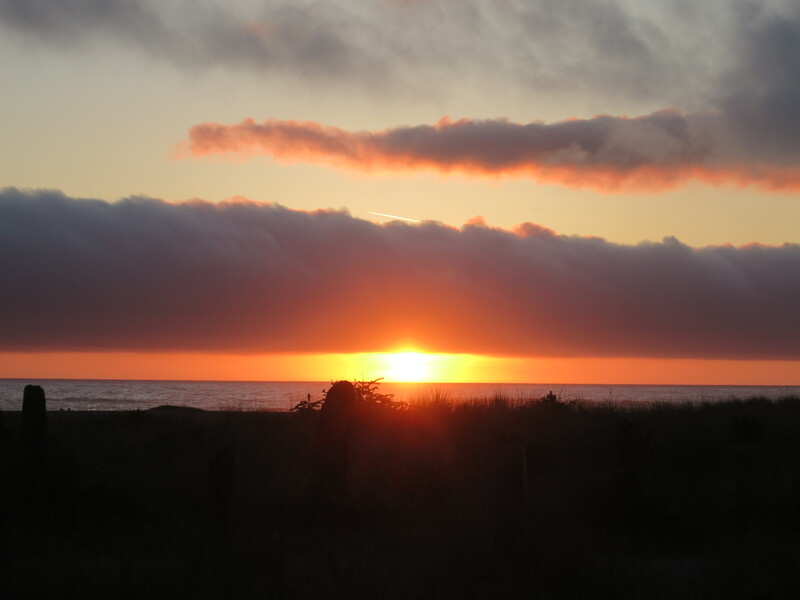 The next morning took us onwards and upwards as we drove up to Gold Bluffs Beach campground in Humboldt County. Minus the first 1.5 hours of nausea induced driving by Ben, the 3 hour drive took us along the coast then on to the 101 through the start of the redwoods. Hungry and fatigued from the windy road, we stopped at Lost Coast Brewery in Eureka for a quick-lunch and beer. Every time I come here (~3 times now I think) I’m equally impressed by the quality of the food and beer, this time was no different. After a delicious mushroom quesadilla and a Great White we continued on to try and grab a first come first serve camping spot at Gold Bluffs Beach. After being in a so-so campground in Oddville for two nights, I was excited to camp at such a beautiful location on the beach. 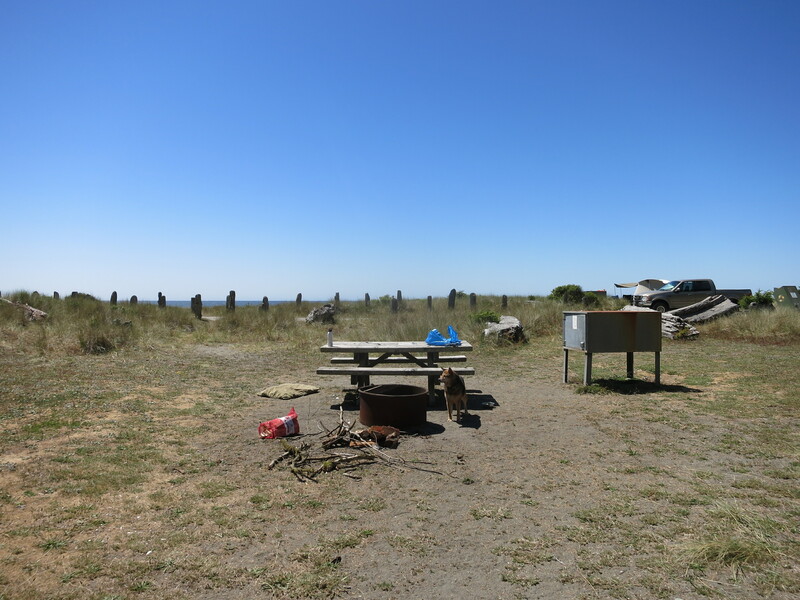 To my dismay, as we pulled off 101 to the windy 6 mile dirt road to the beach the Gold Bluff Beach campsite sign read FULL. As we turn around and head a few more miles down to another campground within the Redwood National Park, I try to hide my severe disappointment. As we drive around the mediocre campground at Elk Meadows I prepare to camp at another so-so campground. RV to your left, screaming kids to your right.. ahhh don’t you just love nature? As I silently sulk, Ben refuses to accept defeat and mentions to the Park Ranger at the Park’s neighboring campsite that we’d really like to camp at Gold Bluffs Beach, and asked if they were really full this early on a Thursday. After calling we’re informed that there are 11 campsites at Gold Bluffs Beach, and that they probably forgot to drive down and change the sign. 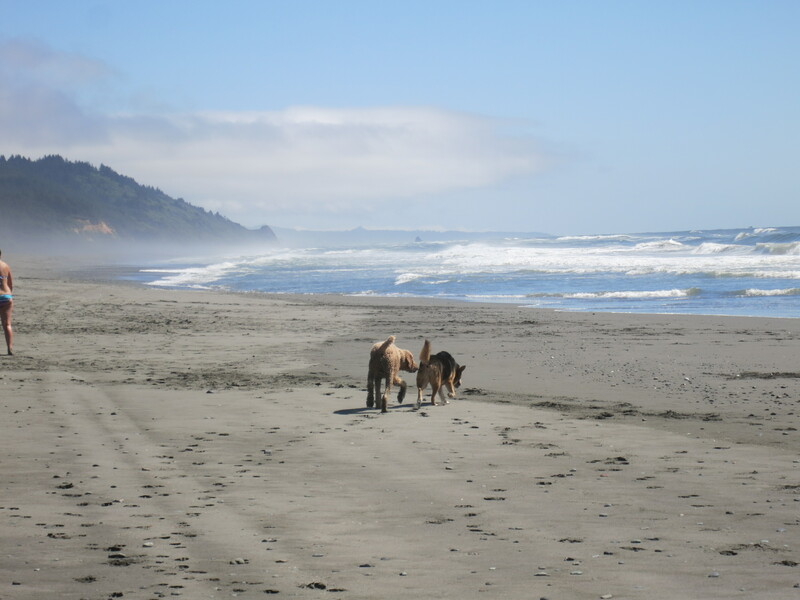 So we spent two nights camping at the lovely Gold Bluffs Beach, just footsteps from the beach. 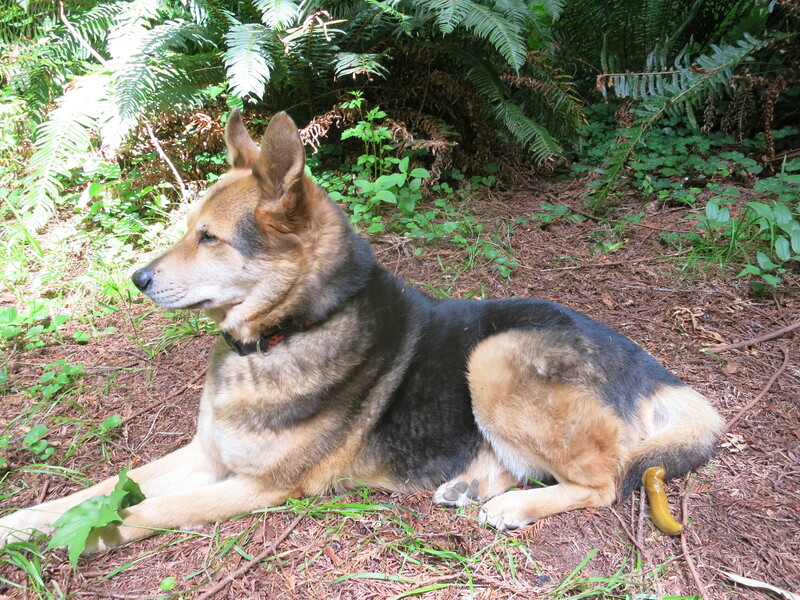 We did a nice 6 mile trail running loop through the redwoods beginning at the main attraction of the park Fern Canyon. Happy to report that after my longest run since my ankle injury!! After two fun days at the beach we headed another hour and a half north to my favorite campground to date Mill Creek campground in Del Norte Redwoods State Park. I camped here several years ago and loved the spot so much I made sure to reserve the same camp spot. As I’m writing this 3 weeks later, Del Norte campsite #34 was still my favorite car camping camp spot of the trip so far! After nearly two weeks in California next we head up to Oregon to uncharted waters (for me)! !